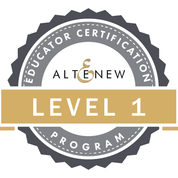 I am taking the latest Altenew Academy class - Progressive Cardmaking with Justine Hovey as the tutor... Day one was all about Stamping with techniques for beginner, intermediate and advanced. Justine is an excellent tutor and her cards were delightful. 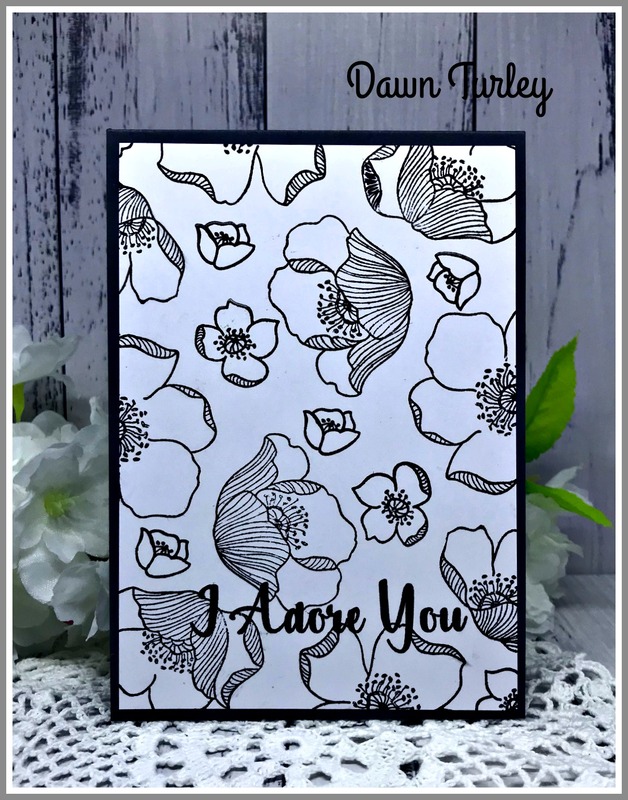 I didn't have the stamps Justine used, but found this set "Adore Me" worked for me. Once I had done the stamping it looked a bit bare, so used the smaller stamps from the set to fill in some of the spaces. I then added the sentiment. Justine used the new stamp set called "A Study in Watercolor" - a silhouette stamp set, but again, it's not one I own. I looked through my Altenew sets and decided the base layer of the leaves in "Beautiful Day" stamp set would suffice. I used some Mountain Mist and Volcano Lake inks to stamp the leaves. One layer light and then the second layer slightly off-set in the darker colour. Really love the look I achieved here. Added the sentiment over the leaves and then added pale gold and white Nuvo drop. For the advanced stamping Justine did some masking and watercolouring with Altenew watercolor makers. She used "Wallpaper Art" stamp set. This has lovely flower outlines. I don't have this one either (me thinks an Altenew order needs to be made!) I chose once again to try out the technique using the "Adore Me" set. I started by stamping and embossing the first flower, masked it and then stamped and embossed the other flowers. 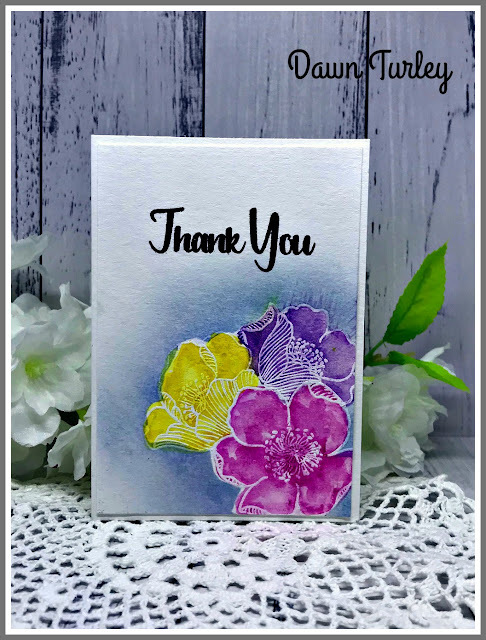 With all the masks still in place, I used Altenew Caribbean Shores ink to blend around the flowers. I used Altenew pan watercolours to add colour to the flowers. When I had finished, my flowers look out of scale on the card... too little so made the card a 4-bar card (3.5" x 5") now it look more to scale. 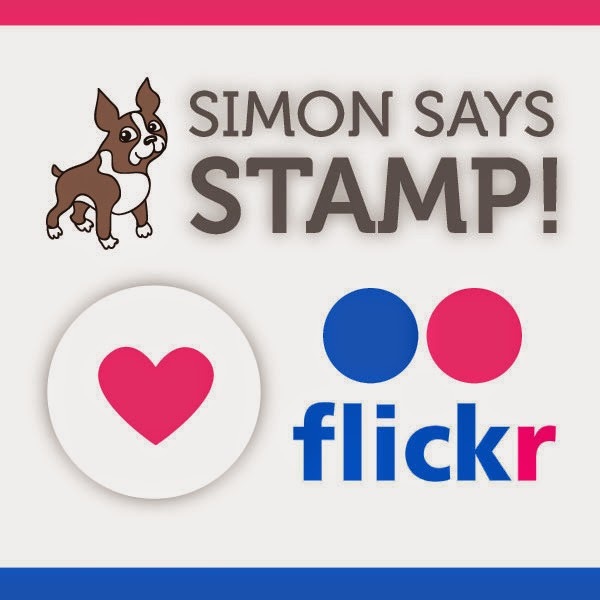 Totally enjoyed the Day 1 and am excited to see what Day 2 brings - it's about using stencils. It's Good Friday today and I got a bit of time to play in my craft room. A couple of cards done... am now well ahead with my DT samples. This afternoon I pulled out an alcohol background I had done on some photo paper. It was a bit more vibrant than usual so decided to trim it down a bit for just a smaller focal panel. I layered the panel onto a maroon card and then onto a cream base. I die cut the Memory Box Bella Bouquet from the cream card and added to the card. 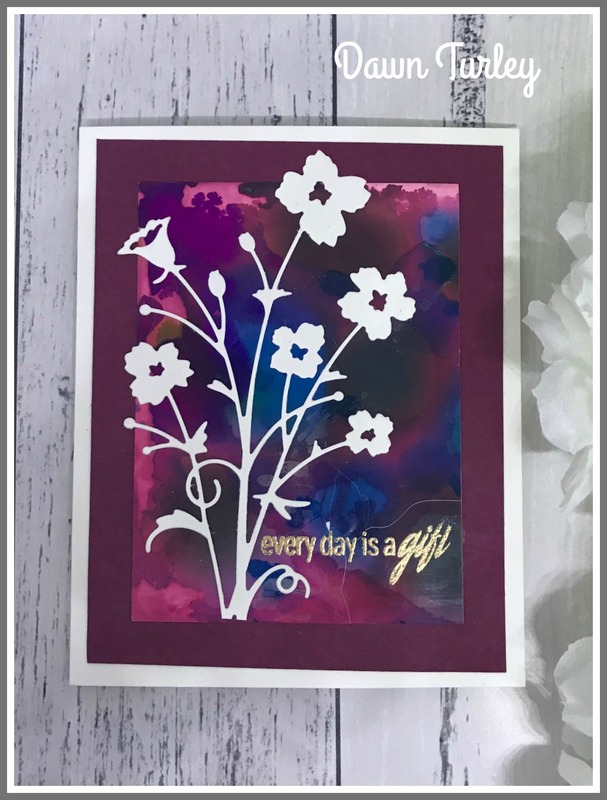 I used Altenew Rose Gold embossing powder to add the sentiment. Like how the maroon card really showed off the panel. Today was a really nice day, the sun was shining and it was warm. Hubby went over to our son's place to help him remove some trees and plant some new fruit trees... 4 Feijoas. I made some veggie soup and took it around for lunch. Erin is only 10 days away from due date... so I thought I'd take this around so she didn't have to prepare lunch for the boys. I printed out the image after using Word to resize and add a frame around it. I used my Prismacolour pencils to add colour. 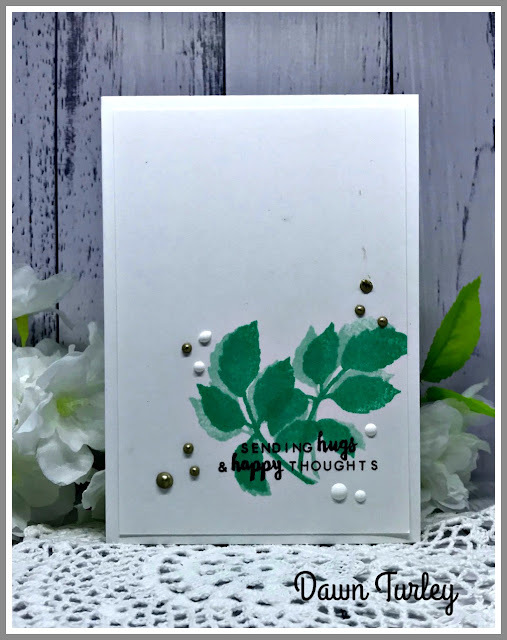 I made my own background paper by using a Catherine Pooler stencil (Marching Leaves) over a pale green card. I used Rocky Shore and Olive inks from Altenew. 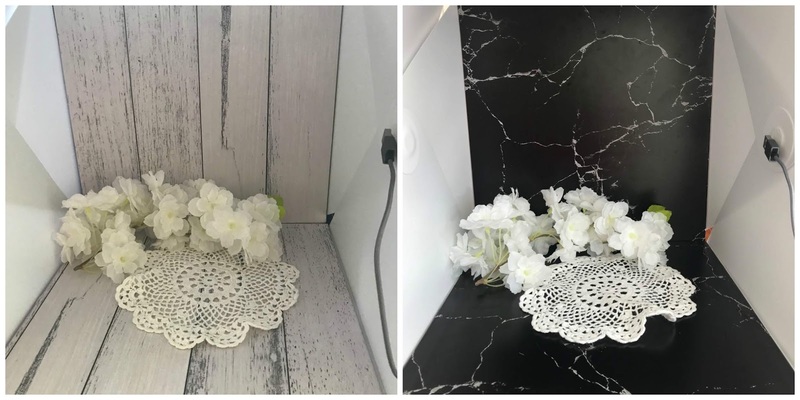 I cut a heart doily in half to put behind the focal image. I then stamped and clear embossed the Autumn sentiment from "The Big Bold Seasons" from Winnie & Walter onto some vellum and fussy cut around it. 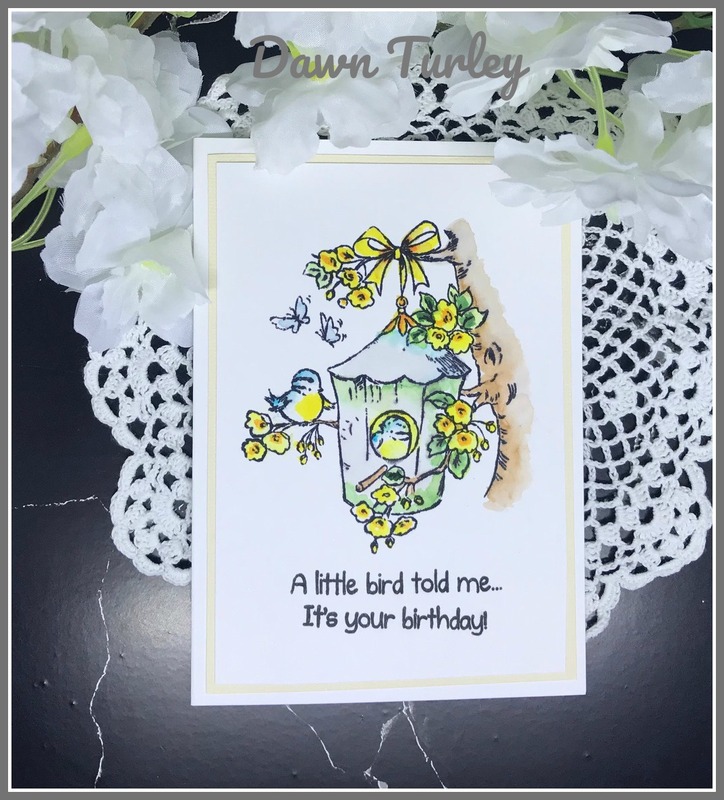 My card today is for a young man's 21st birthday. I decided that a bit of a grungy card would suit. So I hunted out some very old Hero Arts stamps called Brush Strokes and a Just Your Next Stamp stamp - Large Splatter. I added some washi and stamped the splatter stamp with Versafine Onyx Black and clear embossed. I then stamped the Brush stokes stamps in some Altenew Silver Stone ink. I matted this onto dark blue card and then onto a olive green card base. I die cut the numbers out of the green and blue card and offset layered. 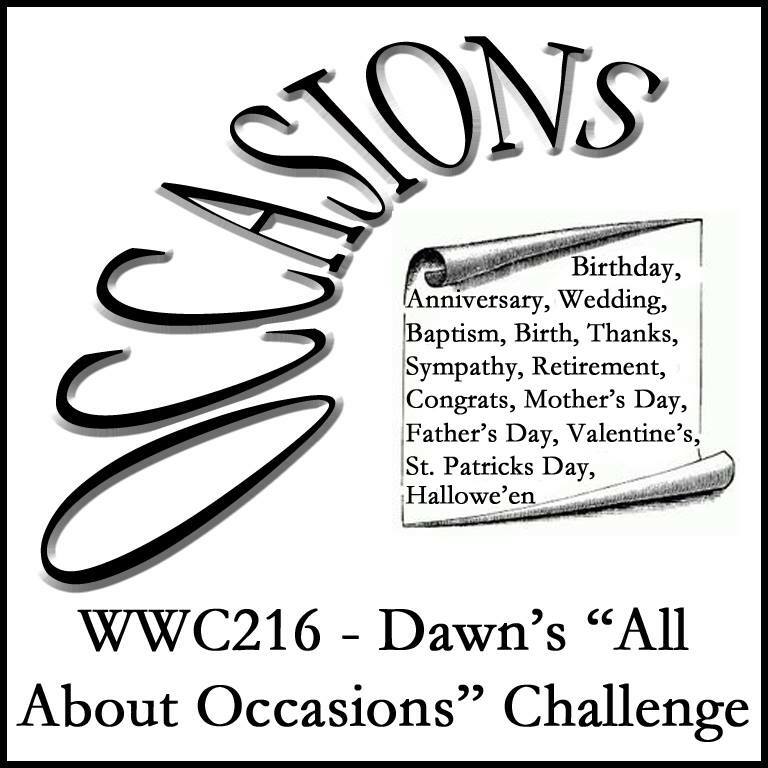 I decided a needed a little sentiment so used the one from Altenew Sohcahtoa set. 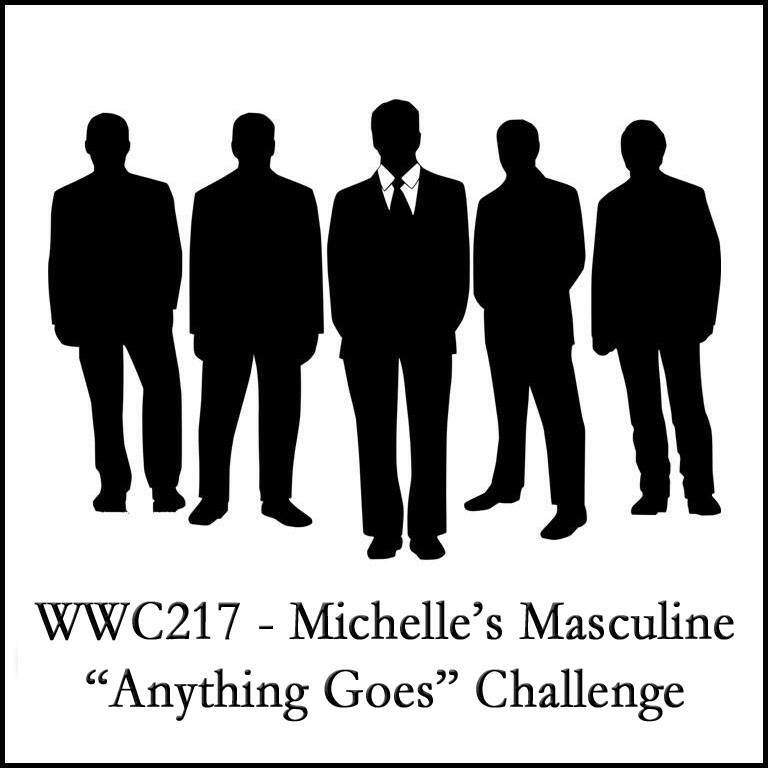 Come join in the fun and make a masculine card. Check out the projects that the artists at Watercooler Wednesday Challenges have created then take the challenge and link your creation to the challenge post. We’d love to have you join us. You have until Mondays at 5 p.m. Mountain Standard Time (Tuesdays at 1pm NZ time) to link up your project. I had a little time before I needed to start the dinner and hubby and son were watching car racing, so I thought I'd have some fun and make a card just for the fun of it. 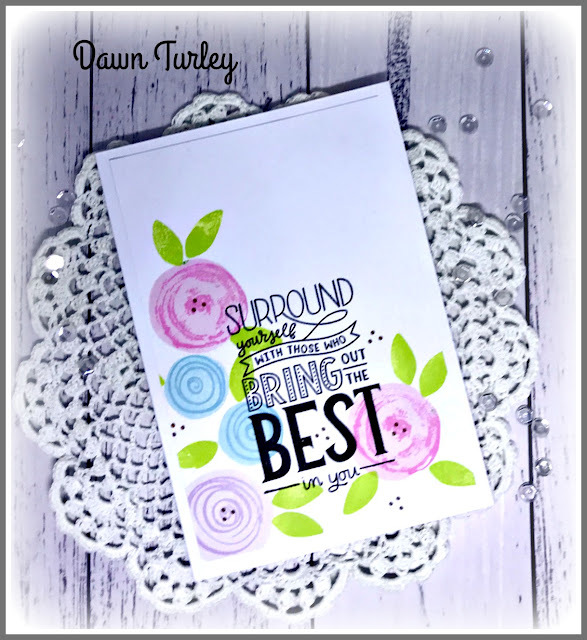 I chose a stamp set from Catherine Pooler Designs called "Best in You". I lined up the sentiment into my MISTI to get an idea of where to stamp my flowers and then used my stamp block to add the flowers. I used some Altenew inks: Pink Diamond/Pinkalicous, Sea Breeze/Turquoise, Soft Lilac/Lavender Fields and Bamboo for the leaves. Plus some little dots in Espresso ink. I then stamped the sentiment over the top in Versafine Onyx Black. Thanks for stopping by today. Hope you got to do some crafting this weekend. Thanks to Jo and her challenge, my stash of Christmas cards is growing. It's Saturday afternoon and all the house work is done, so time for some more crafting .... there are 5 family and friend's birthdays in May.... so busy time ahead. 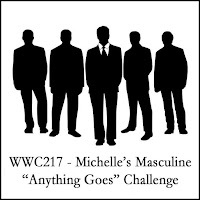 Hello there, it’s time for another Watercooler Wednesday Challenge. 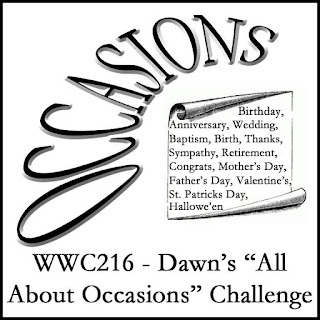 I'm the hostess this week with an "All about Occasions" challenge. For me April is the birthday month for my Grandson. He's going to be 3 this year on 20th April...and if my new grandbaby comes on time, she'll be an April baby too... due 29th. Anyway as I have to get Archie's card off in plenty of time to get to him in time... I've made his card and am sharing it today. So I decided that a bumble bee card would be cool. I searched the internet to find a bumble bee digi stamp and found this cutie at Dollar Graphic Depot. I printed it out together with the 3 and the sentiment. 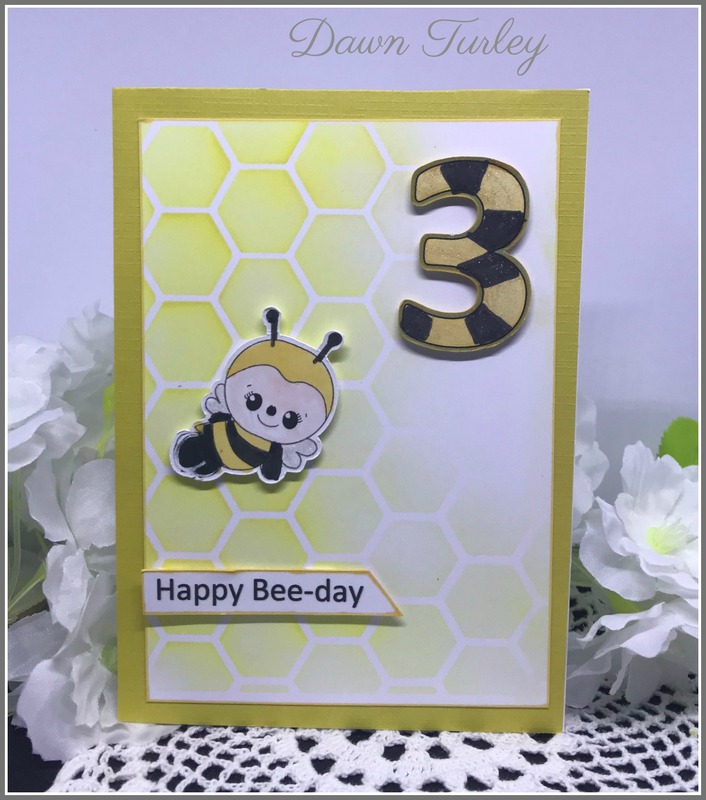 I used my Scan'n'Cut to cut out the number and the little bee. To make my background I used a Hexagon Cover Die (not sure of the make) to make a stencil. 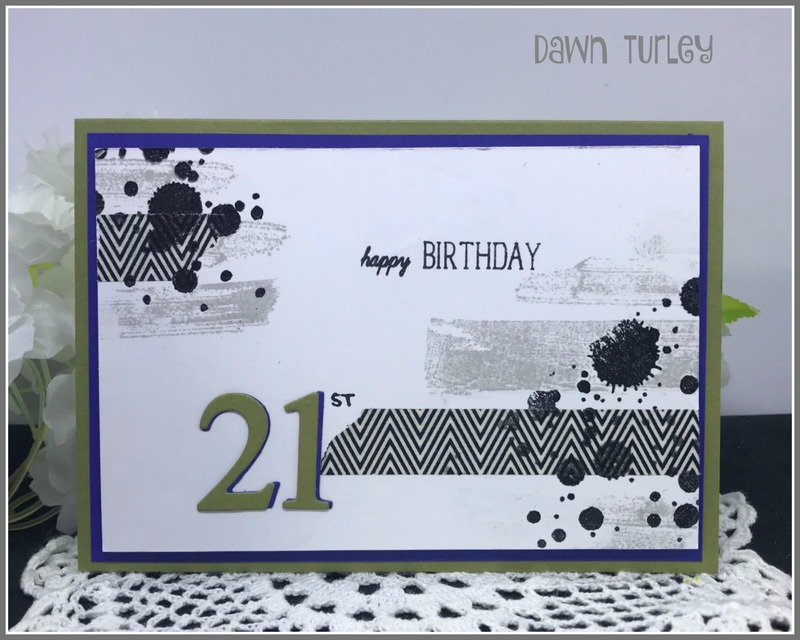 I used two Altenew inks - Vanilla Cream and Lemon Fresh with my Picket Fence brushes to blend through the handmade stencil. I added dimension to the bee, the number and the sentiment. A simple but fun card. Come join in the fun and make a card for your choice of occasion. 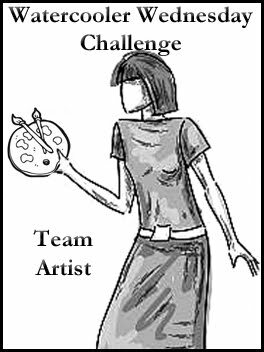 Check out the projects that the other artists at Watercooler Wednesday Challenges have created, then take the challenge and link your creation to the challenge post. We’d love to have you join us. You have until Mondays at 5 p.m. Mountain Standard Time (Tuesdays at 1pm NZ time) to link up your project. 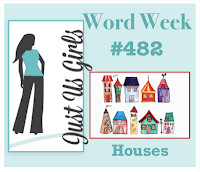 First off, I saw the challenge at Just Us Girls - Word of the week "Houses"
I chose a bird house that as a freebie back in 2015. It is a Crafter's Companion set that was in collaboration with Quick Cards. I stamped the image onto some super smooth cream cardstock and used Zig Real Brush markers and some water to colour the image. The sentiment was in the same set. I matted it onto some darker cream card then onto a base. My next two cards are both going into the Delectable Die-cuts challenge at Christmas Kickstart Challenge. First up is this CAS card. 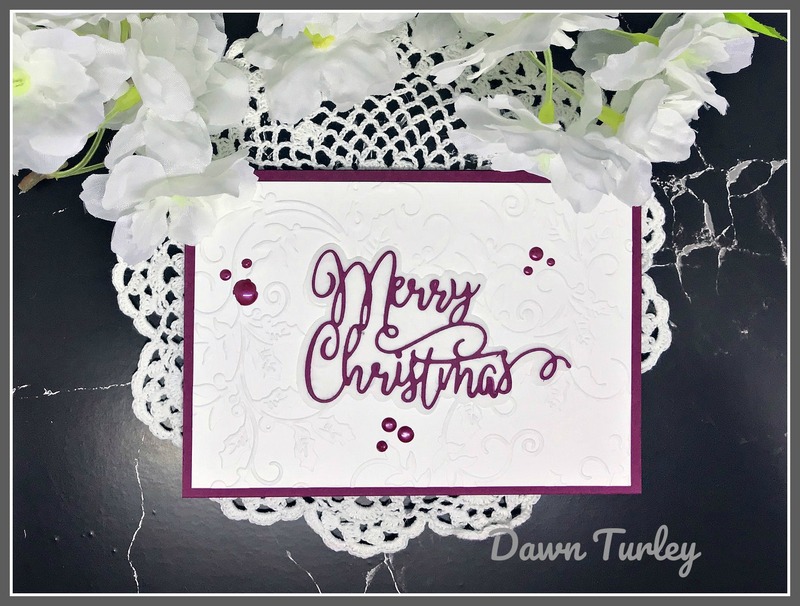 I started by embossing the background with a holly folder. 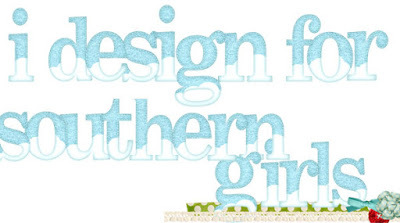 The die cut is a two part one that came with a magazine, that my newsagent was selling for $4. 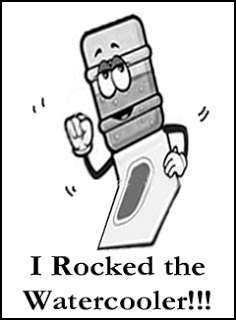 It was the embossing folder and the die plus another twig die. I used some vellum to cut the layering part and the maroon card for the inner part. Added some Nuvo drops to finish. Next one used a sleigh die, again a set that came with a magazine. It had a little embossing folder, a die and the stamp set. 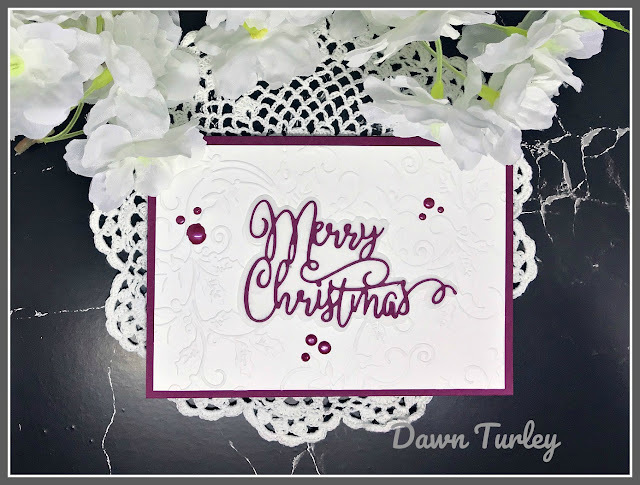 I started by using some Altenew Sea Glass ink to sponge on the top part of the card before embossing the little strip at the top. 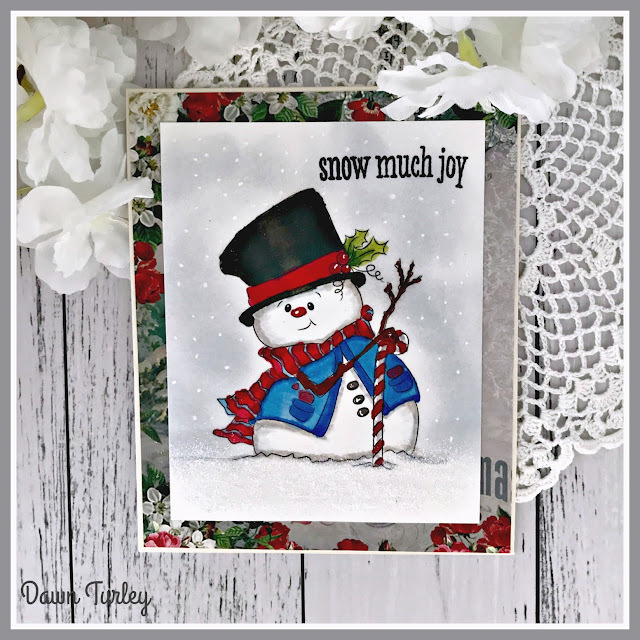 I left the bottom part of the card plain to be the snow. 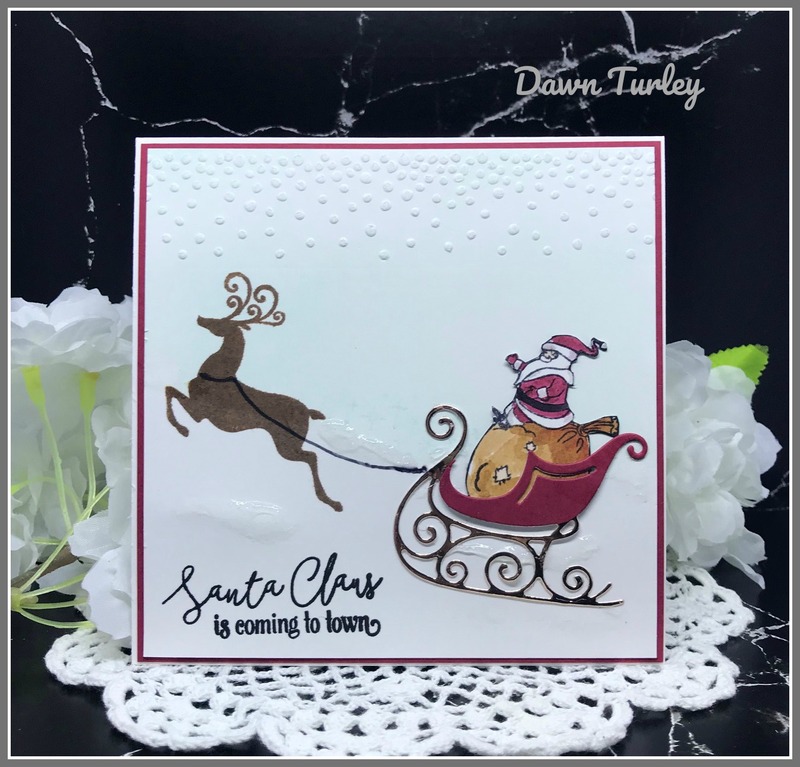 I cut the sleigh die twice, once in a rose gold foil card and once in red. I trimmed the red piece and layered it on top of the gold part. I added the sentiment in black ink and the reindeer in Altenew Espresso ink I stamped and coloured Santa and his bag of presents and fussy cut them. Added some Stickles for snow. Mounted onto some red card and then a white base. I got some book covering vinyl and two 12 x 12 cake boards that were about 1/8". I added the vinyl to both sides of the boards... one colour on each side so I could get both the bottom and back. Thanks for stopping by. Your visits are appreciated. 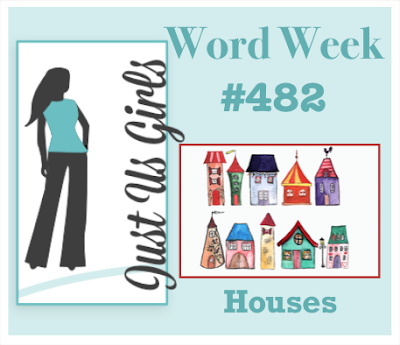 Blogs I love to visit.